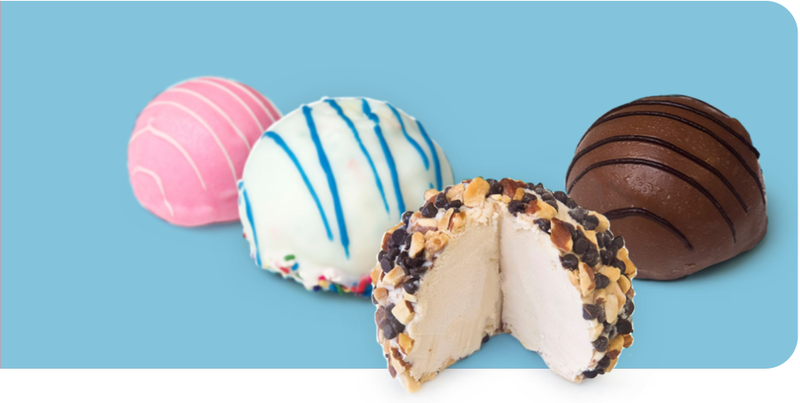 Linx wanted to elevate the current Crème Allure brand to take it from a local mom and pop shop feel to a big name brand. 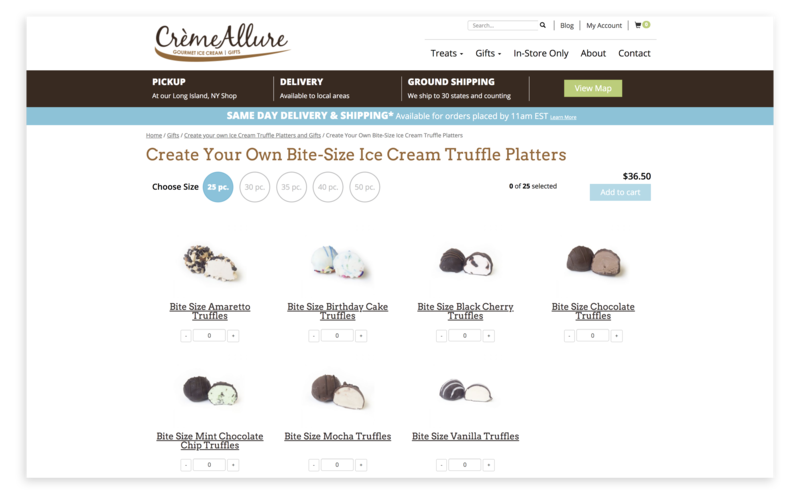 We also analyzed the company's website and determined that we would perform a complete redesign, restructure and development site to provide a user-friendly, upgraded e-commerce platform for Crème Allure customers. 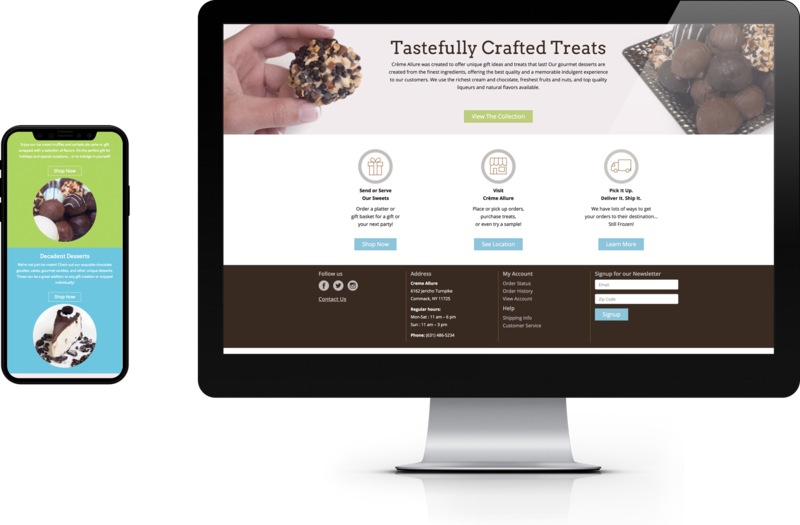 Once the brand and website were reinvented, Linx planned to create ongoing outreach campaigns to drive traffic and sales. Starting with a mood board to identify brand identity, position, tone and inspiration, Linx began the transformation. We leveraged Crème Allure's current logo, giving it a new, enhanced color scheme and selected a new color palette for the brand and website to give it a pop of color, emulating their friendly, bold, fun, and quirky brand persona. We completely mapped out the new website platform through sitemaps and wireframes, and developed the new platform according to the structural and layout plans. Once the new website was up and running, Linx developed a series of outreach campaigns around holiday and special occasion gifting to be distributed through AdWords and Social Media Advertising. 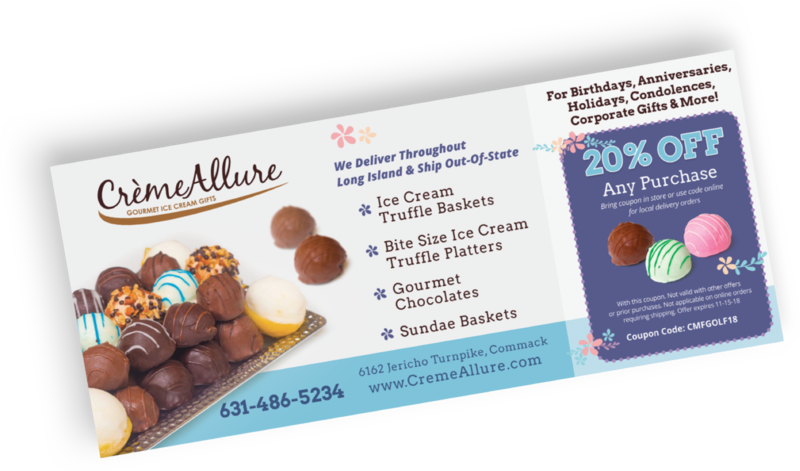 Crème Allure's website is designed to be dynamic so Linx can keep it updated with the latest holiday and product promotions, keeping their ice cream truffle platters and baskets top of mind for gifting. As we help grow the business our goals will lead to enabling Crème Allure to create new distribution channels, better engage with customers tobuild brand loyalty, gain new customers, and ultimately expand their business nationwide. Linx always keeps our eyes and ears open for opportunities for our clients to promote their brand. Here, we were able to create a coupon to be included in golf outing gift bags, distributed to over 400 attendees. 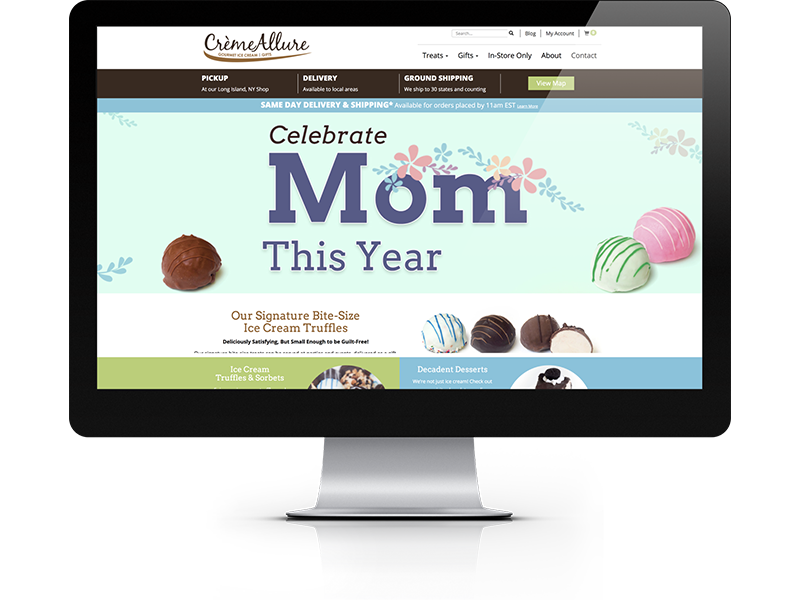 Knowing that mobile usage trends are taking favor over desktop, Linx ensured Crème Allure's website was optimized for mobile browsing and shopping. As part of our outreach strategy, Linx develops digital ads on a monthly basis around upcoming holidays, occasions and celebrations, using fun, bold imagery and messaging. Linx continues to work with Crème Allure to keep building upon the website platform, run monthly campaigns for holiday and occasion gift promotions, and overall strategies to continue growing the business. With social media's laser targeting abilities, we are seeing great success with our multitude of digital campaigns. Golden Pear contacted Linx to build a new website and integrate it seamlessly with the company’s CRM system.